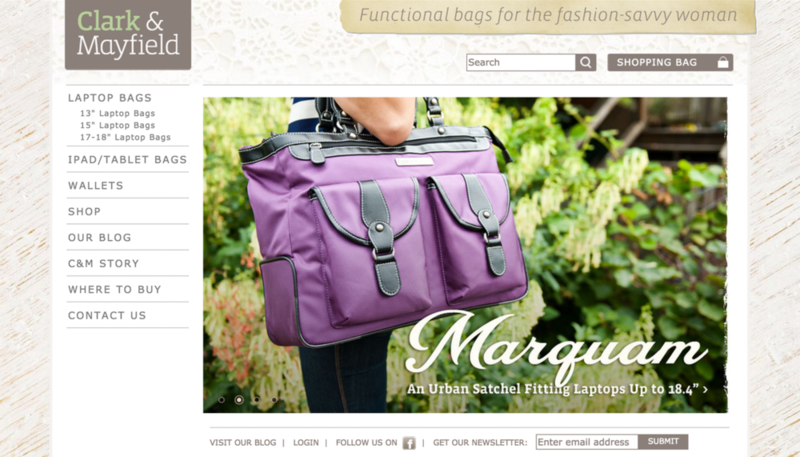 Clark and Mayfield is a retail company that creates "functional bags for the fashion savvy woman". C&M bags are perfect for all women, but especially those that are working professionals or travelers. C&M bags can hold a wide range of technology products while still maintaining the perfect balance of functionality and fashion. Clark and Mayfield contacted us to help create engaging and creative web content for their website and Facebook page to help promote their products and increase brand awareness. We created useful and shareable content that matched their targeted primary customer market.